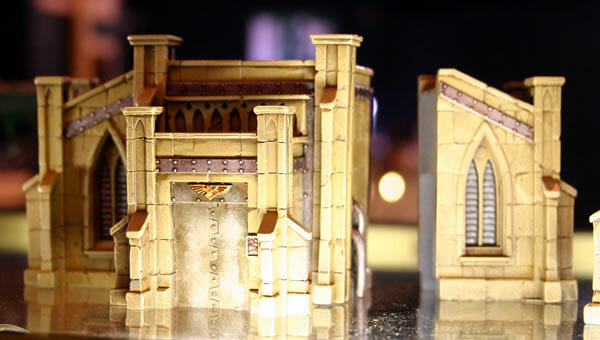 Photographs of Cityfight and Cities of Death Games. Having less time means I don't have time to setup the scenery. 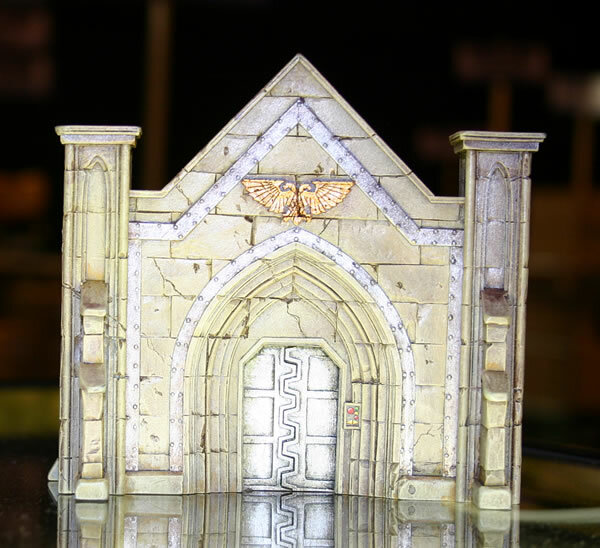 I have decided to build up some mini-scenery boards for photographic sessions. I was pleased with the results I got with the grassy and desert terrain tiles that I am now thinking about doing a Cityfight tile. I have done some preliminary sketches. The aim is to be able to place models and take photographs from various angles. 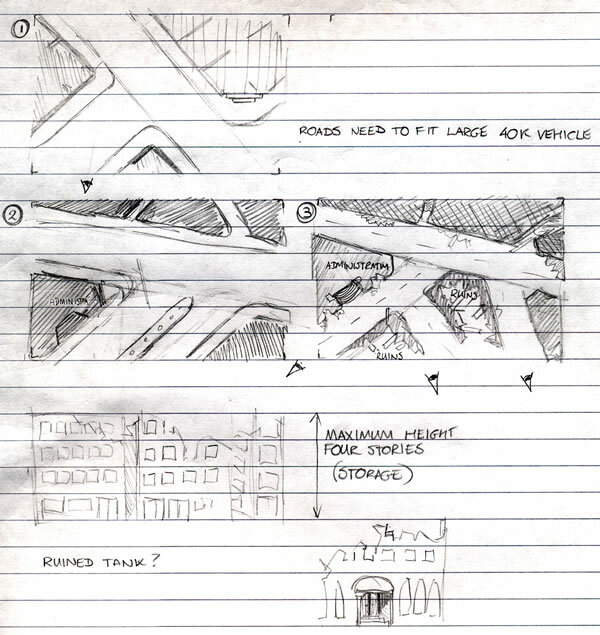 Plan (1) was eliminated as the angles were wrong, with the flatter street angles in (2) and (3). I think I prefer (3) as it has more ruins and buildings. 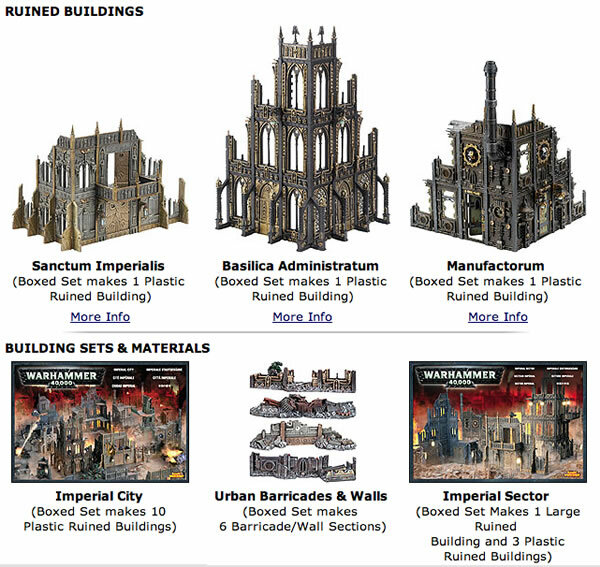 Since I drew the picture, GW have announced their Cities of Death supplement and a new range of plastic buildings. I am not a great fan of the new plastic buildings as they seem rather lightweight (they are more robust in the plastic than from the pictures). They are also rather gothic looking and I am not wanting too much of a gothic look to my tile. 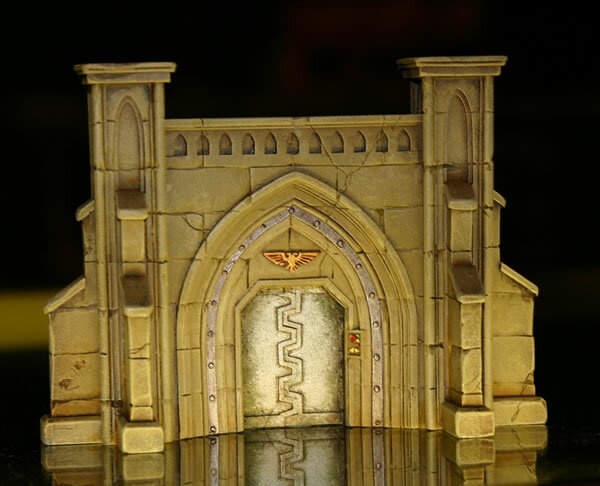 Forge World released these entrances many years ago. These were on display at GamesDay 2005. 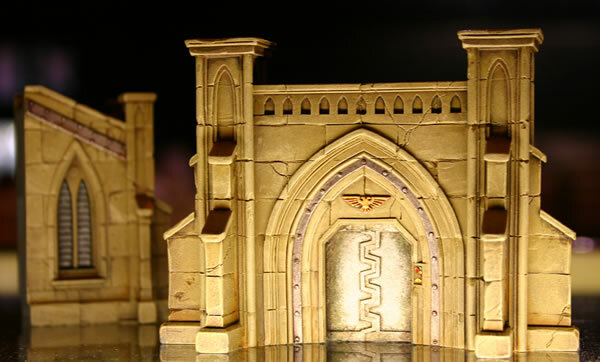 I’ve always thought of them as a weird concept and wondered why Forge World not only made one, but made a whole range? 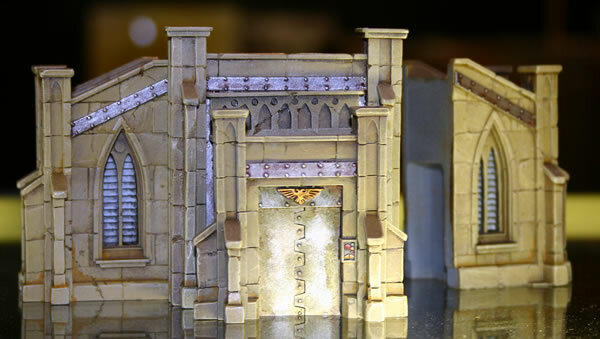 Obviously they could be used as entrances to other buildings with some conversion and I have thought about that especially for this photographic tile that has been on my “workbench” for some time. At the moment it only exists on paper, but I do have a 2’ square piece of MDF to use for it! I wanted to use mainly foamcard and cardboard for the “tile” as it would only be used for photographs and not for gaming. Though at 2’ square could be used for small scale squad actions, or for the Rogue Trader RPG.